KarrenJ - Stamping Stuff: How Ya Bean? As soon as I saw this stamp from Stampendous, I had to have it. The image is so adorable and it's a nice, big stamp. I stamped it onto some X-Press It cardstock with Amalgam ink and coloured it with Copics. The stamp already has lots of shading, so it wasn't too difficult to colour - because I'm certainly no expert! I used the colour guide on the Stampendous website to colour the mice, which was a great help. Once I was finished colouring, I went hunting for a small, coffee-related sentiment and found the perfect one in the (retired?) Oh Frappe! set by Essentials by Ellen. I white-embossed the sentiment onto black and die-cut it with one of the sentiment dies in the Sentiment Labels die set by Simon Says Stamp, before adhering it to the coloured panel. I went looking through my cardstock to find something that matched the coffee cup and found a sheet of Peacock cardstock by Simon Says Stamp, which was a pretty close match, so I made a card base from a half piece of Peacock and then adhered the panel with foam tape. Here's a photo of the Copics I used, but as there are a lot of E's in this container, I've split out what I used for each element of the image. 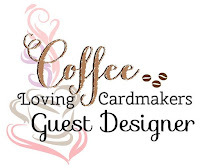 Thanks so much to Amy, for inviting me to be a Guest Designer. 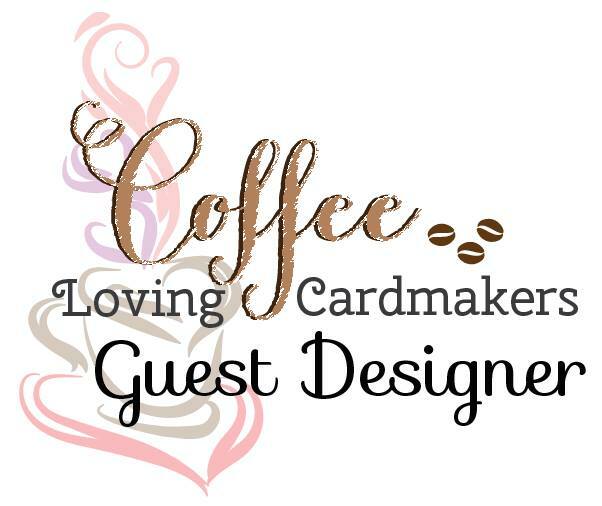 Please head over the the Coffee Loving Cardmakers blog and have a look around. I've bean fine! and even better after seeing these cuties! Just so adorable with your amazing coloring! So beautifully coloured Karren. It's an adorable stamp and makes an adorable card. Bean pretty good sweetie, and you? Wow you excelled on this beauty. Those mice look so damn cute and the colouring - perfect. Love every inch of this.